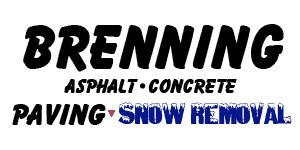 Serving the Ottawa region for more than four decades, Brenning Paving and Construction provides a wide variety of service that extends beyond just asphalt paving. We take pride in the quality end-product we supply, our competitive pricing and the creative way we provide solutions to your problems. Throughout our years in the industry, we’ve successfully identified and filled gaps in our market to better serve our clients and community. Don’t hesitate to reach out to us at Brenning Paving and Construction! We would be happy to assess your project and to give you a free estimate. Get in touch with us through our online contact form or call us at (613) 822-1316.